Follow the mesmerizing path of trees and pass by the enchanted library to the Guest Rooms, designed by g+a and Glamorous in eight different styles. Wake up to warm rays of natural light and fall asleep to the twinkle of the Hong Kong skyline – but whether you’re a weekender looking for a lighthearted escape or a business traveler wanting to unwind, the theme of nature runs throughout every room. The extreme wow suite is so delightfully dreamy we only have the one! This suite offers the ultimate in true asian hospitality, where even the smallest detail is larger than life. 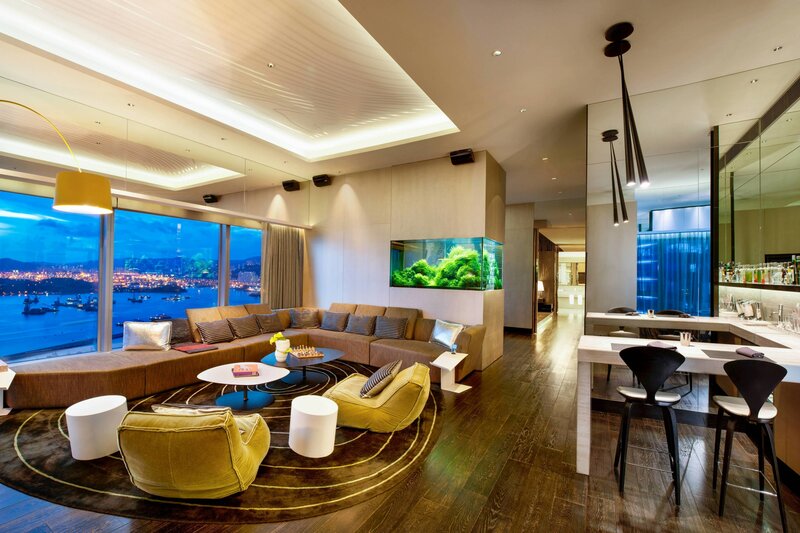 The ultimate blend of style in West Kowloon. Our rooms are equipped for you to stay connected.